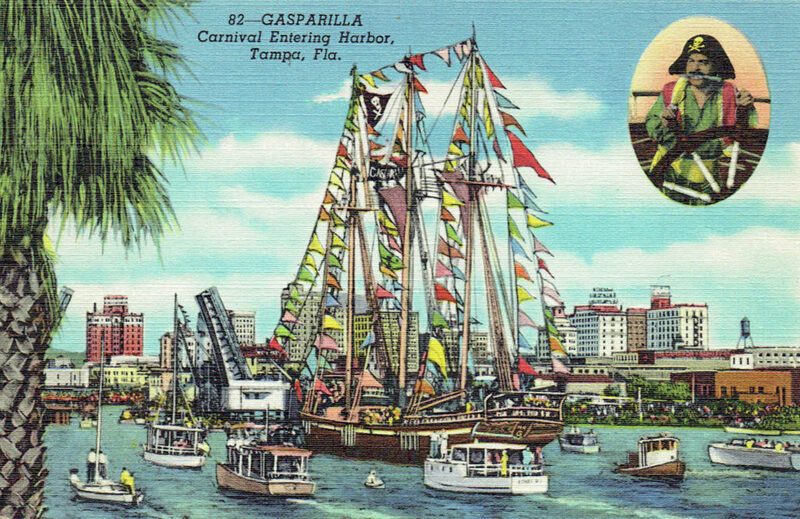 Happy Gasparilla to all my Tampa friends! 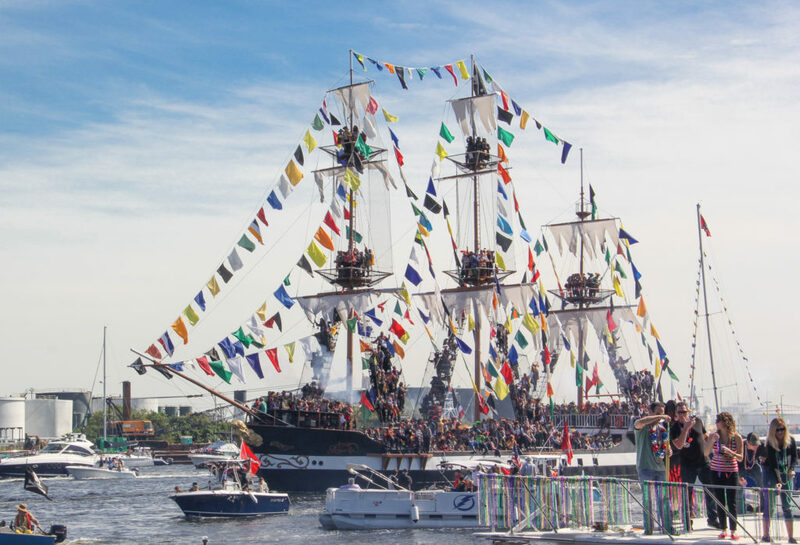 Since 1904, our city has celebrated pirates like they’re rockstars, and I have to say, as a captain’s wife, that does give me pause. 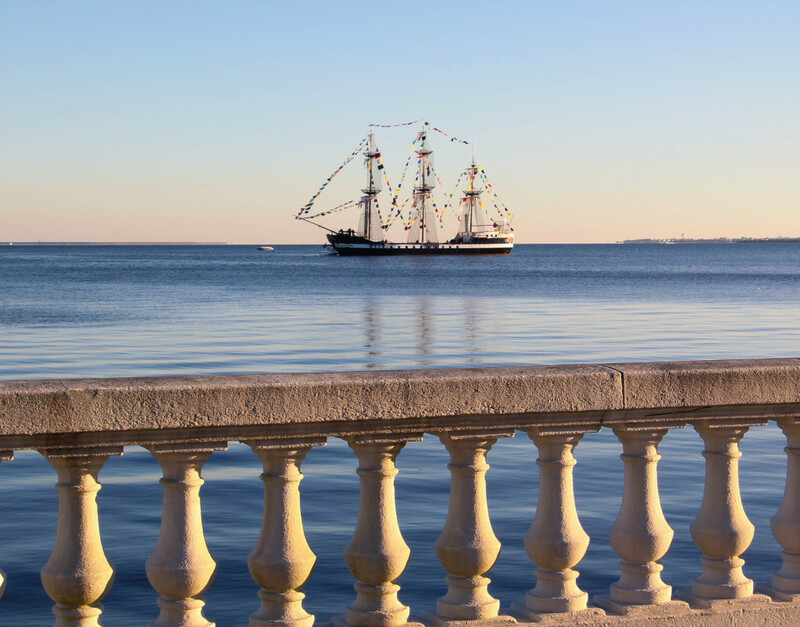 Why would we have an event in honor of a scoundrel pirate who once plundered this coastline? Here’s the thing: it’s doubtful there ever was a pirate named José Gaspar; that’s the stuff of legend. Henry Plant used pirate lore, complete with buried treasure, to market the luxury hotel he built here (now the University of Tampa). It worked. 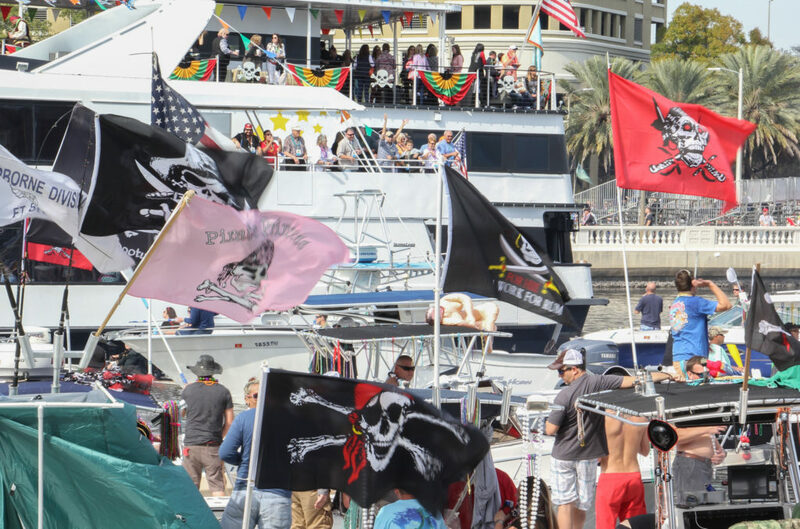 So when city leaders needed an excuse for a Mardi Gras-like celebration and a backstory to embellish our city’s history, they took one from that playbook and built an event around the same mythical pirate. Now here we are, over a century later, and the party’s still going, half-a-million people strong. Of course rum is the official drink, but this year I’m offering up some fresh margaritas because I know plenty of pirates who like tequila. Plus, we don’t want scurvy! 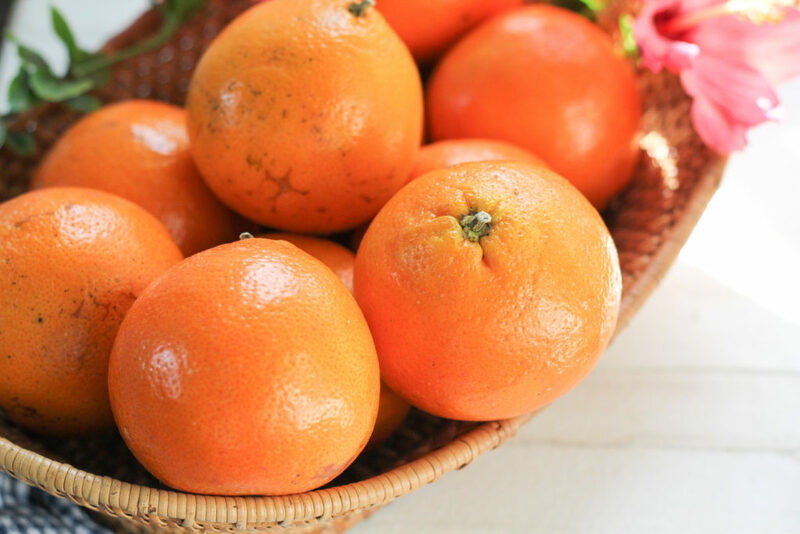 Florida’s tangelo season is short, and we have to take advantage of every last Honeybell we can get our hands on. I was so excited to find them last week that I tore one open on my way home and didn’t even care about juice on my shirt and sticky hands. Honeybells are an easy-peel citrus we love to eat out of hand, but if you can bring yourself to squeeze a few, you’re in for a treat. The flavor of the juice is outstanding, like peak-season Valencia oranges and bright tangerines combined. 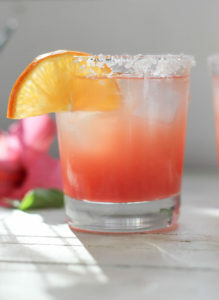 The color is a subtle pale orange, but I punch it up with some homemade hibiscus syrup to make these cocktails as pretty as they are tasty. It’s not as fancy as it sounds; just hibiscus (dried is fine), sugar, and water. You could even throw in a few Celestial Seasonings Red Zinger tea bags. Simmer into a simple syrup and strain. Besides vibrant color, it also adds a touch of lemon-raspberry flavor. 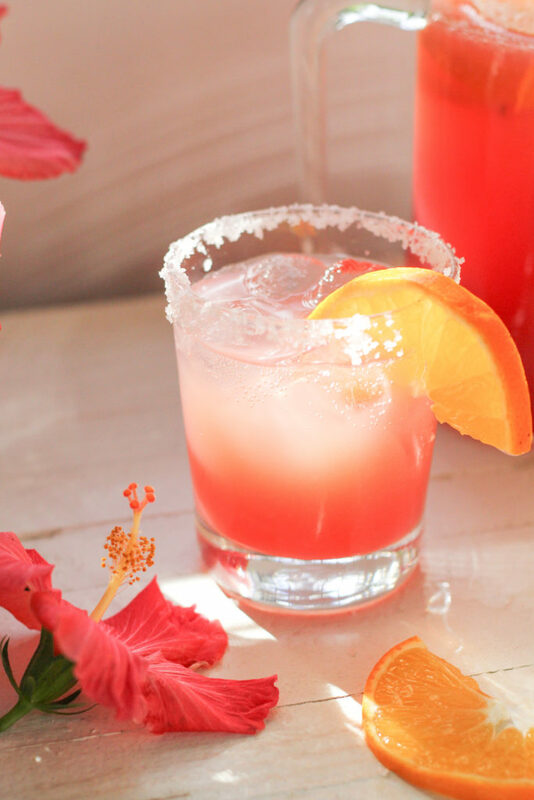 Honeybells and hibiscus are a match made in margarita heaven. Mix up a pitcher of these and you’ll be prepared for any mayhem that comes your way. 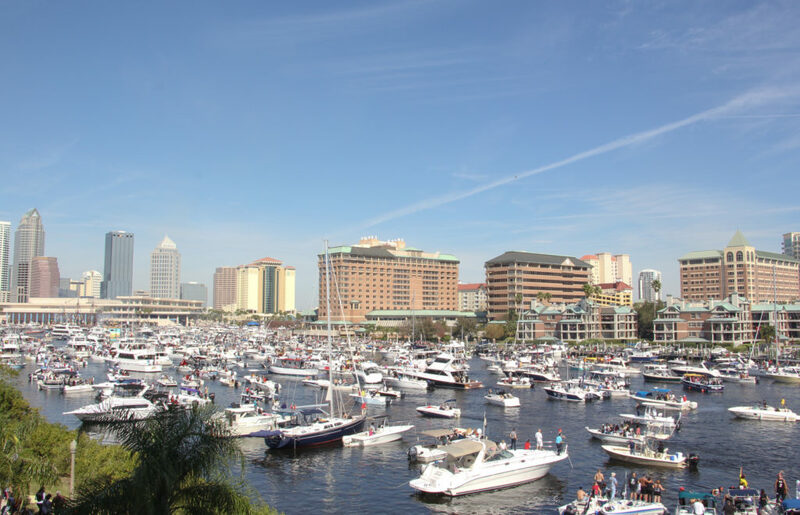 As Gordon Gibbons, King of Gasparilla in 1931, said, “We are here not to plunder, but to play.” Have fun this weekend! Combine all the ingredients in a pitcher. Stir, taste, adjust as you like. 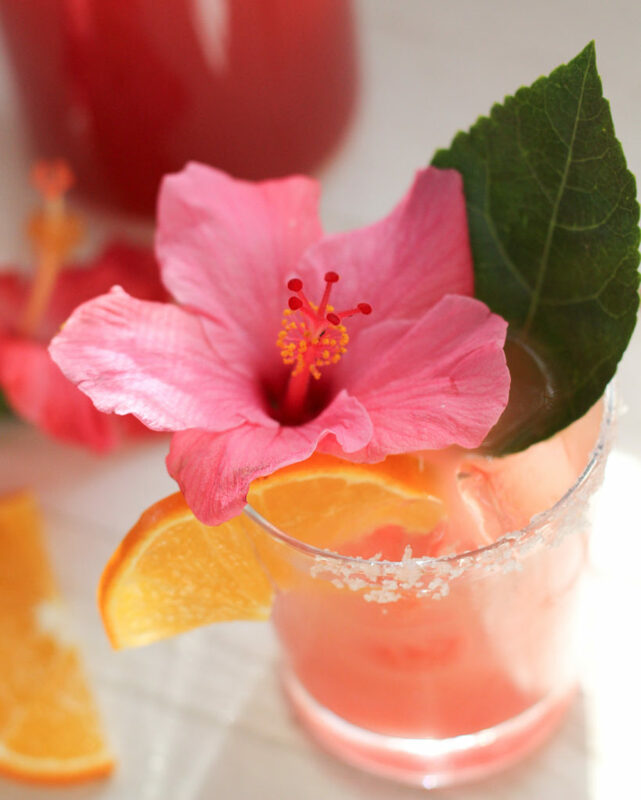 Serve in a glass with a salted rim, if you like, over ice, and garnish with tangelo slices. 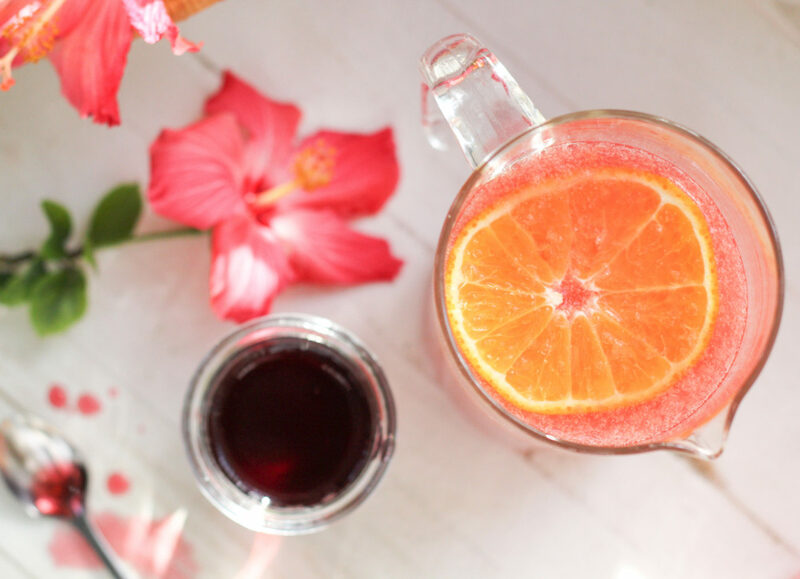 Prepare the fresh hibiscus flowers by removing the stem and stamen and rinse them in cold water. Bring all ingredients to a boil in a saucepan. Reduce the heat and simmer until it begins to thicken, 10-15 minutes. Allow to cool. Strain into a glass jar. 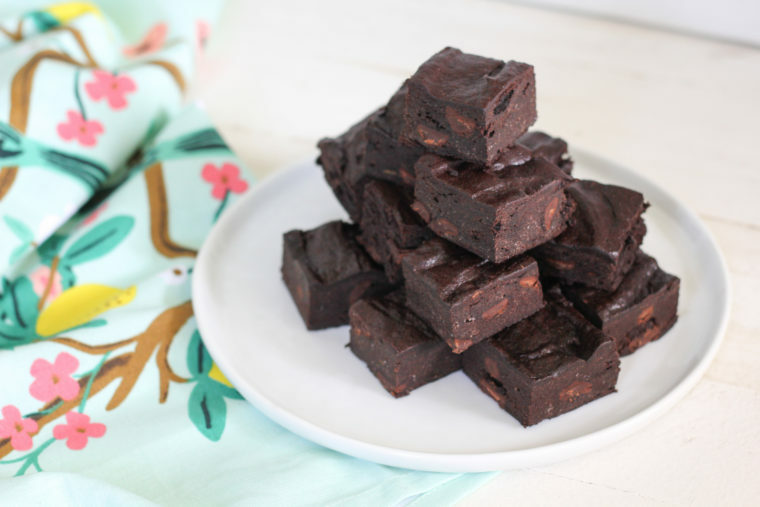 We’ll have to make these in May! I’ll freeze some juice! 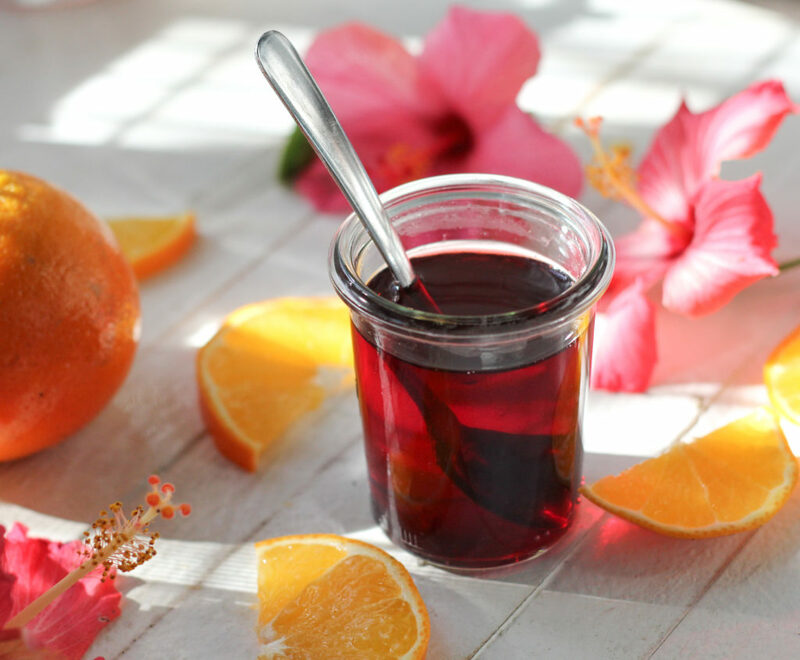 Honeybells and Hibiscus! 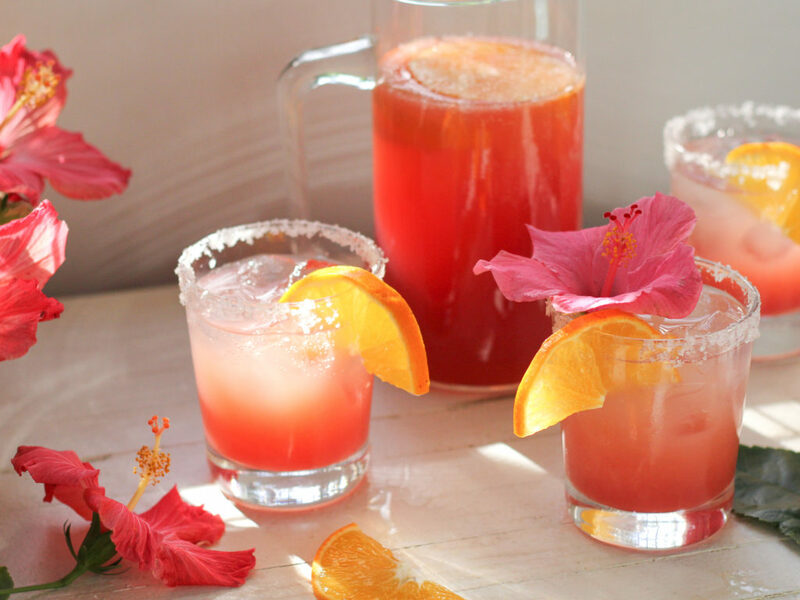 These cocktails look lovely and I’m sure they’re mighty tasty, too. 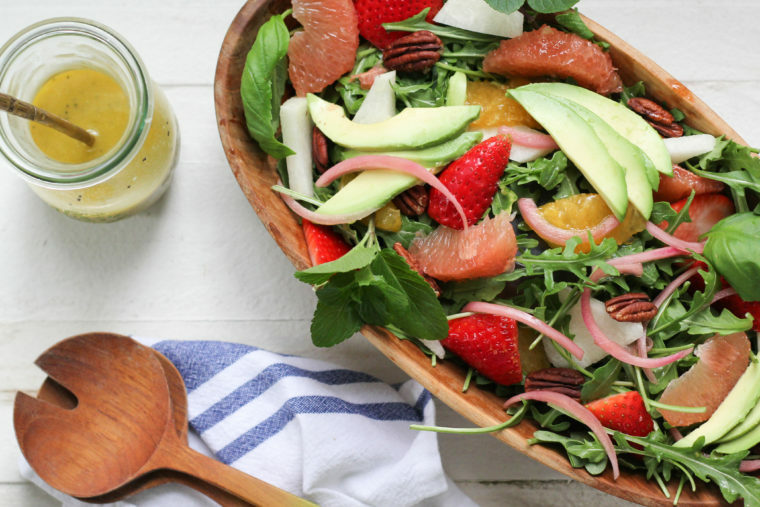 Thanks for the new inspiration about what to do with all this beautiful citrus around us right now. Hey Uncle Freddie! I found these at the grocery store, believe it or not. I haven’t spotted any roadside stands with them yet. I bet MA could find them at Parkesdale in Plant City on her way over to see you. All I can say to these is YES! 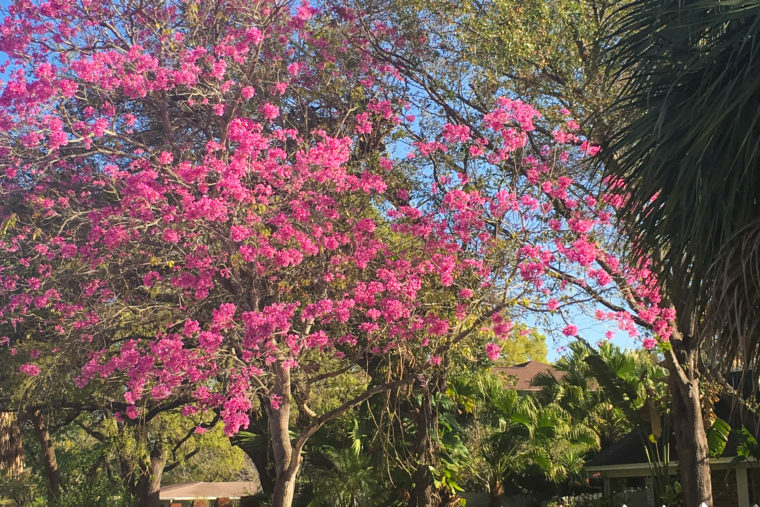 The perfect Florida Winter cocktail indeed! You’ve outdone yourself with this one. I don’t know how they taste (yet), but these are the prettiest cocktails I’ve ever seen! Thank you so much, Coley!